Photo taken by The Guardian. You’ll know Blackpool. Britain’s iconic seaside resort, that for generations, was the location for nearly every British family holiday. If you didn’t go there during your school summer holidays, your parents and grandparents probably did during theirs, in the 1960s, 70s and 80s. Excited and raring to go, they would have packed the car with beach towels, buckets and spades, their dog or other pets, and with just enough room for themselves and the extended family, set off through Lancashire before arriving wide-eyed on the Fylde Coast. Blackpool is – and always has been – about memories galore. It oozes fun, whether you spend an hour on the Blackpool Promenade and play the arcades, ride the rollercoasters at Pleasure Beach, eat ice cream on the pier, or – weather permitting – enjoy a moment of relaxation on what is now a renowned Blue Flag Beach. The start of this article has been nostalgic, looking at bygone years. But in 2016, Blackpool, thanks to concerted efforts from Blackpool Council with the help of local attractions, is being enjoyed by a new generation of cultured holidaymakers. This point is exemplified by the appearance of Turner Prize nominee Tracey Emin: that’s right, the artist who shook the art world in 1998 with her much-debated ‘My Bed’ installation, is taking her new specially curated light-based exhibit to the resort. It’s all part of NEON: The Charged Line, an exhibition that will see eyes across the world focus on the North West for the duration of illuminations season, when the resort’s everlasting glimmer becomes a little brighter (and rightly so). The exhibition takes place at the Grundy Art Gallery. Emin’s works will be exhibited alongside pieces from Gavin Turk, who rose to prominence alongside Emin herself. The two, if you are unaware, were key members of Young British Artists, a collective that hit the public consciousness in the 1990s. The dazzling exhibition is part of this year’s LightPool (more details below) and coincides with illuminations season, which is already well underway after the famous Promenade lights were switched-on by Dame Barbara Windsor. 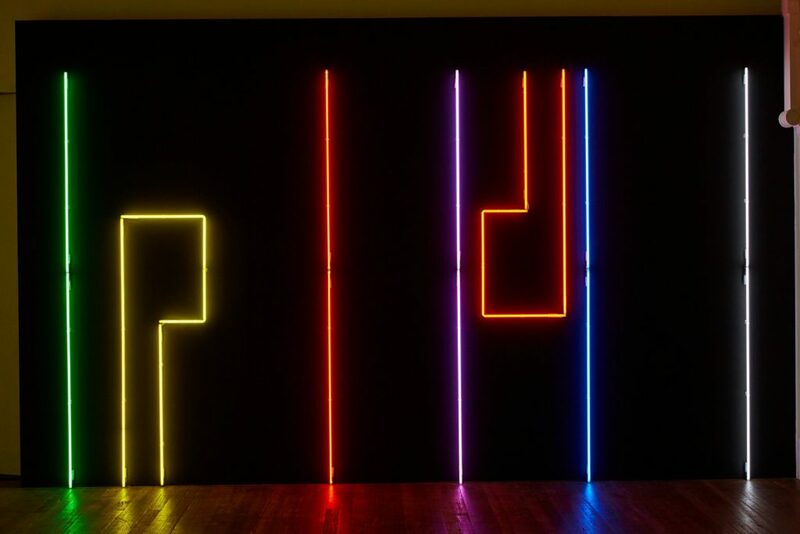 NEON: The Charged Line is supported by Blackpool Council, Arts Council England and Visit Blackpool. It runs until January 7, 2017. This year Blackpool becomes LightPool again, which runs alongside the Illuminations for their duration. Back for its 2nd year, the event is designed to enhance the ever-stunning Blackpool Illuminations. LightPool Festival is new for 2016 and takes place during October half-term from October 28-November 2. Throughout the Illuminations season, visitors to the Blackpool Comedy Carpet on the Tower Festival Headland (a kind of memorial that pays homage to comedians and performers close to Blackpool’s heart) can watch three specially created 3D projection shows, which bring a wealth of creative talent and world-famous names to the Promenade. The first, Down the Rabbit Hole, tells the story of an astronaut exploring new worlds; the second, Enchanted Blackpool, is a fairytale in which the star of the show, a goddess in the Tower Ballroom, comes to life in stunning colour; the third, Chasing Stars, is a collaboration with the European Space Agency presented by astronaut Tim Peake. During October half-, the resort is completely transformed for LightPool Festival. It all happens between 28th October and 2nd November and promises an extravaganza of fire and live performance to bring this year’s LightPool at Blackpool Illuminations season to a spectacular finale. LightPool Festival will feature street performances, workshops, installations and over 25 stunning visual artworks illuminating Blackpool’s iconic architecture. There’s the return of ‘Spark’ the illuminated drumming-group, plus ‘Polar’ featuring dancers who tango through flames and Lumidogs, where your pet pooch can take part, too. LightPool Village is worth checking out. It’s a collection of illuminated huts where guests can watch the projections in a unique, family-friendly atmosphere. Situated on the Comedy Carpet, LightPool Village is the best place to watch LightPool Projections while enjoying food, drink and exciting entertainment. You can even get the chance to have yourself projected onto the Tower Building and get your own official merchandise of lighty ups and souvenirs. Elements of LightPool village are open daily from 2pm from September 7 and November 2nd with the whole village coming to life each night from switch-on time to 10pm. The aim is for LightPool – and the week-long LightPool Festival – to provide new and regular visitors alike, perhaps generations apart, a visit that’ll live long in the memory and cement the resort’s place in holidaymaker’s travel plans.